There are 2 ways you can do this. 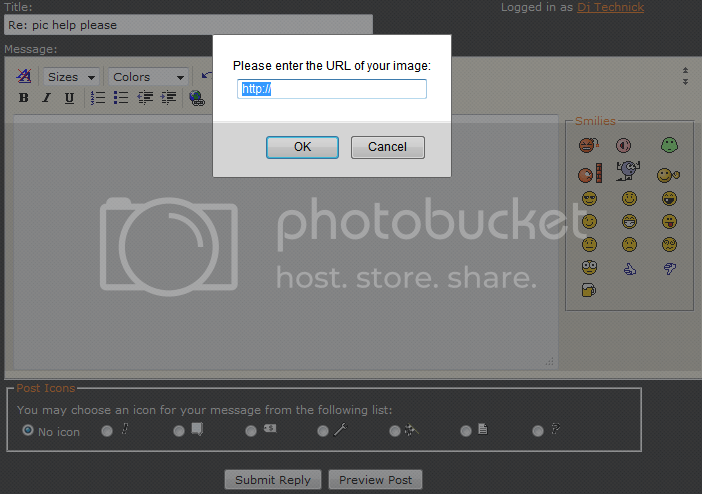 First is with photobucket they have an actual [IMG] link option so you can simply copy and paste. 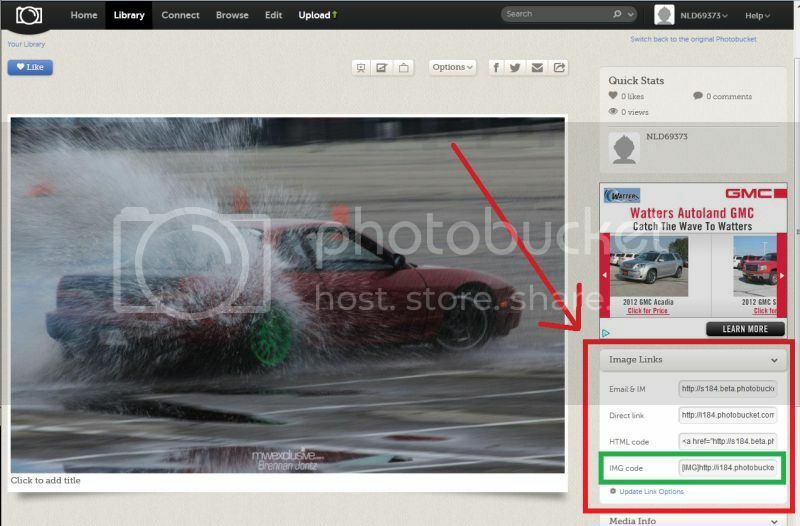 In photobucket there is an Image link option box. In there you simply copy the IMG link by clicking on it (it auto copies) and paste on here. Next option, lets say you find a pic on a random page you like. If you right click that picture it'll give you the option to "view image" this will bring you to a direct image link. From there you can simply copy the website link at the top of your browser then click the image icon on jdmcitys txt box, paste, and go. And your done. Hope this helps. dumb question here, I have an iPhone, how can I post pictures here or any other site through my phone?? 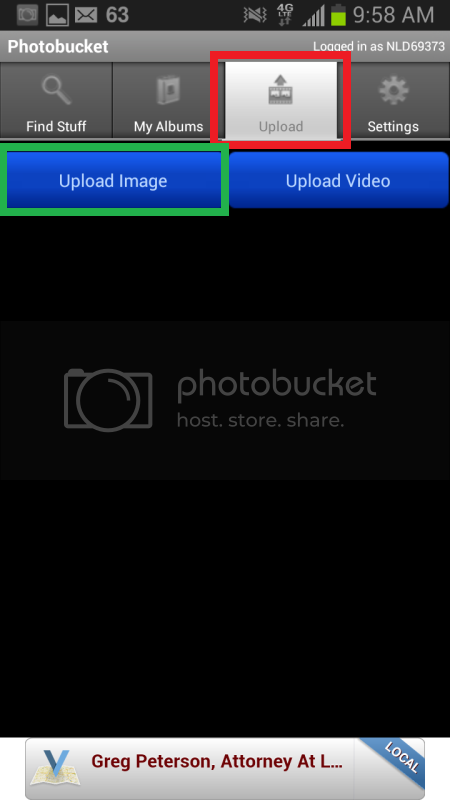 Download the photobucket app or go to the website like normal. The app works just like the website does, though I've noticed the pictures will post fairly small. Couldn't I do it through any other apps like Instagram or any other apps that comes out bigger and better quality? I haven't tried but I wouldn't think so. It's not that it's bad quality, it just seems to scale with your screen size. It's the exact same picture, but when on a computer it always makes it bigger. I have the max resolution settings on my PB app and it still makes it small, so it has to be tied to your screen size. Even seeing it on the computer is small. The photo bucket app has a horrible review :/ are there any other out there? I'd prefer the computer version way better! 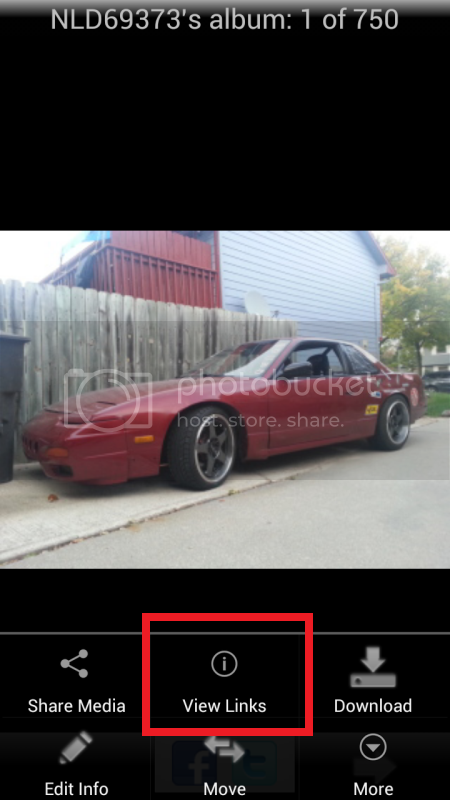 I use the photobucket app with my phone and it works great. Majority of my photos in my build thread were posted using the photobucket app on my phone. Also throughout the build I've had 2 different phones that I've used the first one an old HTC the second being the Galaxy S3. Neither one I've had a problem with photobucket. I see you have the iphone tho, but I couldn't imagine it being a problem for you. Other then doing it that way you might see if there is a different app you can use for different image hosting sites. I bet instigram would work as long as you used the direct link for the image (never been on that site, hate it with a passion so know nothing about it or what it looks like). I know facebook photos will work, but like I've said you need to use the direct link url. Last option is to plug your phone into your computer and transfer the images to your computer and go about it that way. Give me a little bit and I can get some photo examples posted on here. I'm not using an iphone so mine will probably differ from yours a tad. Thanks nick I'll give it a try. Just thought there would be another app or a site I could of gone to and did the same. I do have an account with photo bucket, just read the review and found most of the users giving it a bad review on the app. Would it be the same as the computer version? Computer version is much better, albeit, more difficult to use. But your pictures will turn out much better. I've used it on my GFs iPhone with the same results. If you can, just use it on the computer if you ask me. EDIT: after reading reviews, it seems like all the problems are iPhone/pod related. Moral of the story: get rid of your iPhone LMAO. Last edited by The Laser; 01/14/2013 at 09:22 AM. Sorry about the wait. I'm at work doing this so I have to do it when I catch small breaks in work. So here's the run down. This is being done on a Galaxy S3 so it'll be the steps for doing this with an android phone. 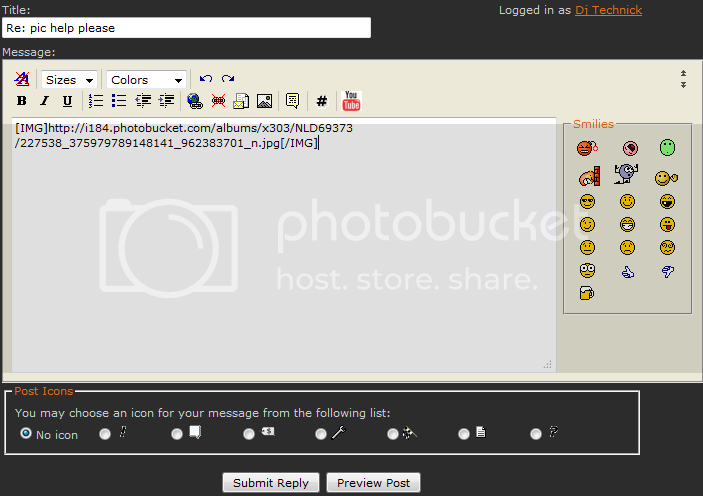 Also I am using Photobucket as my image hosting site. I would assume iphones are going to be incredibly close to being the same. Also for future reference with the non stop updates going on with phones I wouldn't doubt it if this becomes outdated within a year and is completely different. Things needed. A phone with internet, Photobucket app, and of course a photo of your choice. To start. Here's the image on my phone that I'm going to show how to upload. 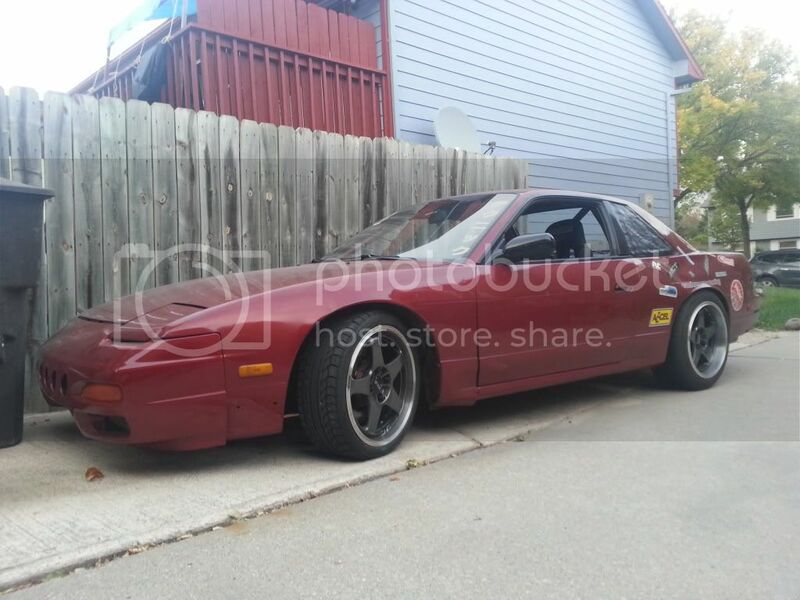 There are two ways to go about uploading this to Photobucket. First I will show how to do it from your pictures when looking at your photo gallery. As I'm sure you can figure out, find the image first. From there when you tap on the screen it'll have your options on what you can do with the photo. 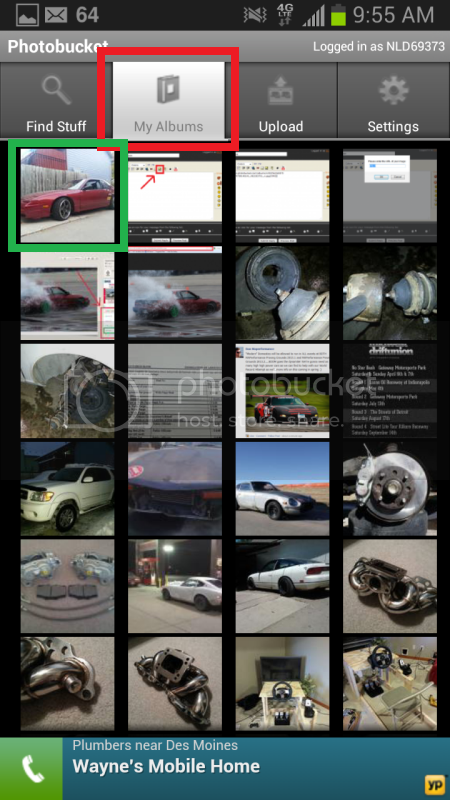 Hit the share icon (highlighted in red), and follow up by selecting photobucket (highlighted in green). 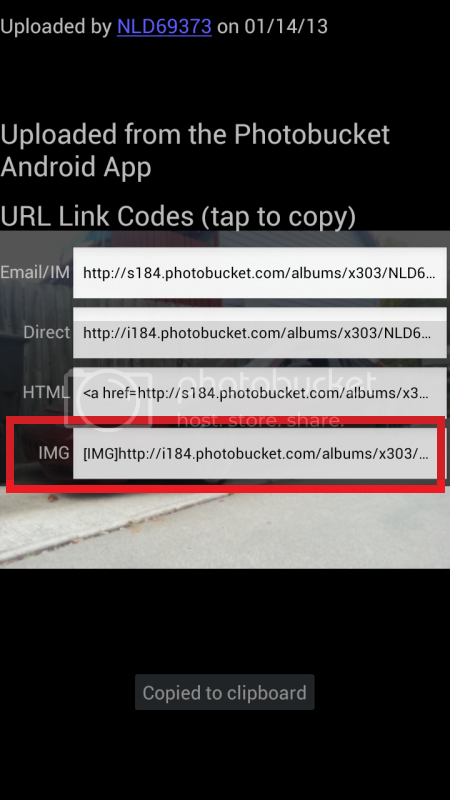 IF photobucket is not showing as an option click the "see all" option and find photobucket, you will most likely have to do this the first time you do it this way. This will upload your photo direct to your photobucket account that you have setup. You'll have access to this photo via your phone, computer, or whatever else you are able to access photobucket with. 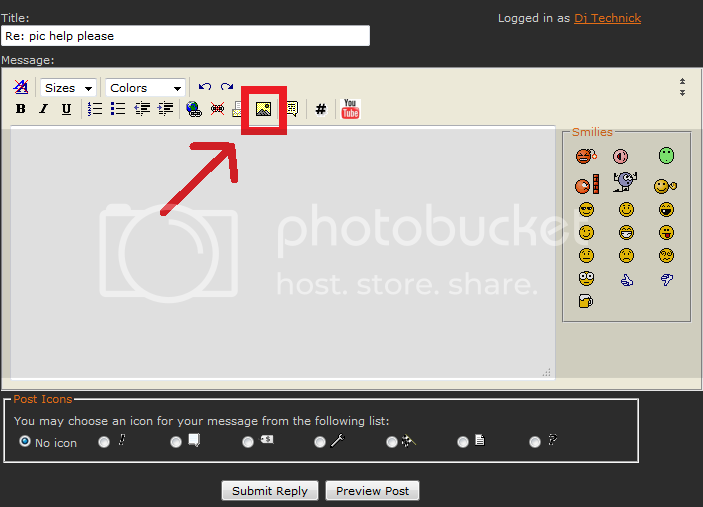 Moving on, here is the second way to go about uploading your image to photobucket. 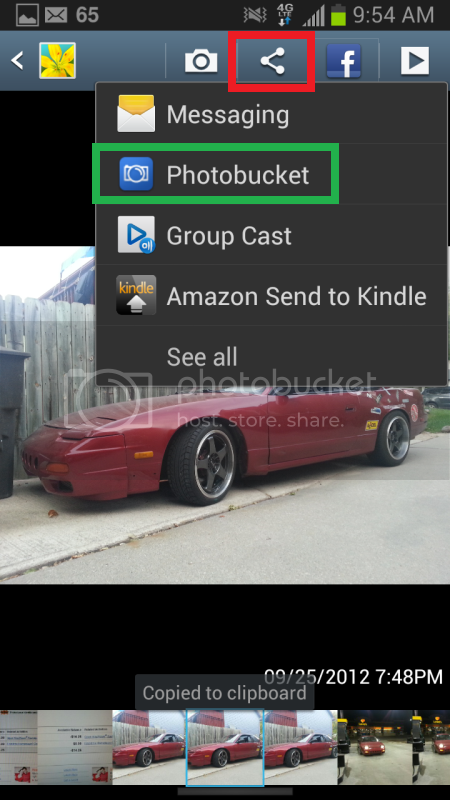 You can go into the photobucket app and this screen will pop up. Start by tapping the upload tab (highlighted in red) then tap "upload image" (highlighted in green). After doing that all of your photos on your phone will appear. This will consist of all photos you've taken with your camera, screen shots, downloaded images, ect. They will be ordered by most recent image first. Now if you just took the photo it'll be right there on the top left. If its an older one you may need to scroll down. The page will only scroll a short ways and from there you will need to tap the next button. Find your photo and tap it. This will make a green checkmark. 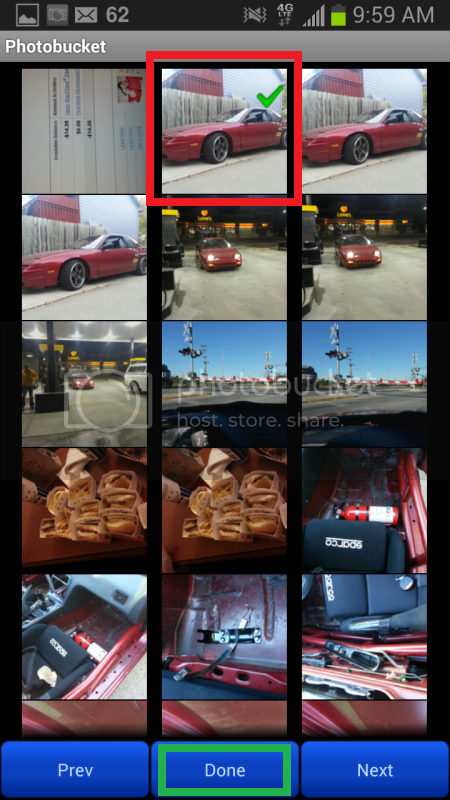 (highlighted in red) once you've selected your image or multiple images tap the done button (highlighted in green). This will bring you to the uploads tab and show you the progress of your upload. Once completed its on your album and ready to go. Now that I've shown both ways to upload a photo I'm going to move on to how to post the photo on jdmcity. Start by tapping the Albums tab (highlighted in red). Find your photo that you just uploaded (again ordered by most recent uploads) and tap it (my photo of choice highlighted in green). Once you have done that, it'll bring up you link options. As shown previously in this thread you will need to use the [IMG] link (highlighted in red). This will auto copy the link for you. Once done with that you can look at my posting above on what to do with it. You simply paste it in the text box when writing a reply. For those of you that don't know how to paste with a phone, all you do is hold down in a text field for a few seconds then it'll give you an option to paste. And you're done. Oh and it's my first smart phone so I'm still new with my iPhone and I love it! !